The Potter Park Zoo, located at 1301 S. Pennsylvania Ave. in Lansing. Ingham County voters showed their support for the Potter Park Zoo by renewing the 0.41-mill property tax that is used to operate the zoo’s facilities. The millage passed by an overwhelming majority, with 76.5% of voters support renewal. The tax will bring in an estimated $2.8 million a year over the next five years to cover the day-to-day costs of operating, maintaining and improving the zoo. That means residents with a home worth $200,000 pay $41 a year to continue supporting the zoo. 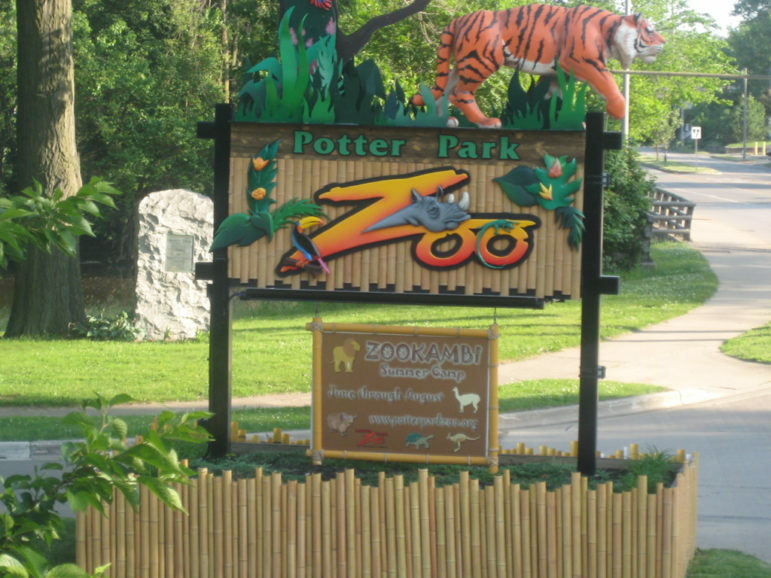 The Potter Park Zoo has been a staple of the Lansing community since 1920. The zoo was under control of the city of Lansing until 2006, when the cost of maintaining the zoo became too big a burden and officials decided to hand over the operations to Ingham County. The first millage proposal was voted on by the community and approved in 2006. Voters have continued to support the millage tax since then. “It allows them to upgrade their facility. It allows them to do more outreach to the public schools in the area. It allows them to do special events like ‘Boo at the Zoo’ and ‘Winter Wonderland’. It allows them to do things that bring the community together, which we always need,” she said. However, Laidler explained that while the millage covers a large majority of the costs related to maintaining and operating the zoo, it’s not the only revenue source used to improve the facility. “A lot of times…we’ll do a capital or fundraising campaign and look for sponsors and funders to help supplement the millage. We don’t rely on just the millage to make improvements,” he said. The zoo plans to revisit and update their strategic plan in the upcoming months to determine what improvements are feasible for the zoo and where additional grants and donations will be needed to fund those projects. Last year, the zoo added a new red panda exhibit with the help of Williams Auto World as well as an Alaskan moose exhibit with the help of the Glassen Foundation and Safari Club International.